It’s no secret SUVs are the car style of the decade, with sales of the adventure-inspiring vehicles climbing relentlessly to the point where they are overtaking regular passenger cars. 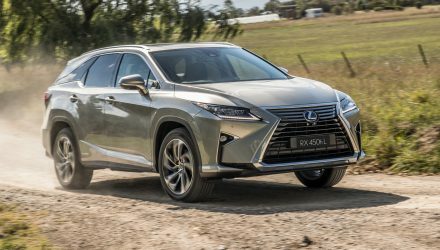 For those in the market, we’ve gathered up a list of what we think are the top 10 best SUVs coming to Australia in 2019 and the rest of 2018. We’ve ordered these in terms of when they are expected to arrive, and placed links in the titles to take you to our stories with more info on the car. The Hyundai Santa Fe is one of the most practical, best value, and well packaged family-friendly 7-seat SUVs on the market. 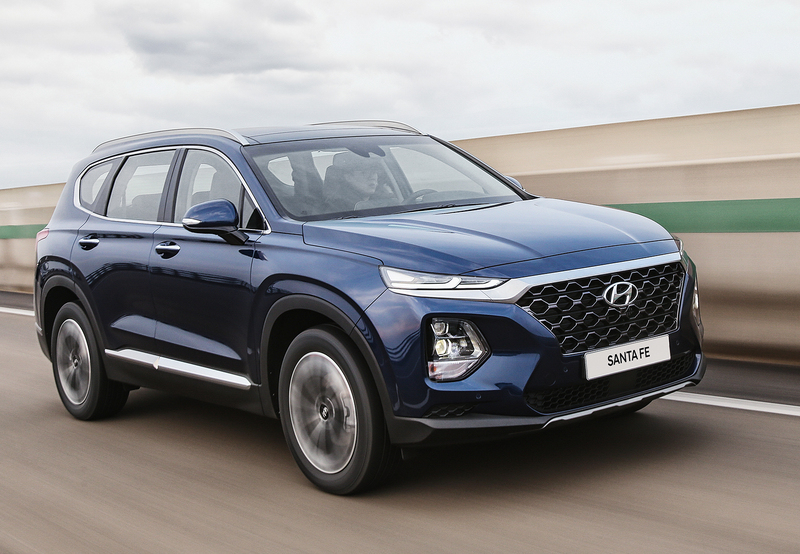 For the new model Hyundai has applied a funky design language to the exterior, following in the tracks of the recently-introduced Hyundai Kona small SUV. Inside there’s more space, an extra 40L in the cargo area, and some new touch-screen media interface options with sizes ranging from 7.0 to 8.0 inches. 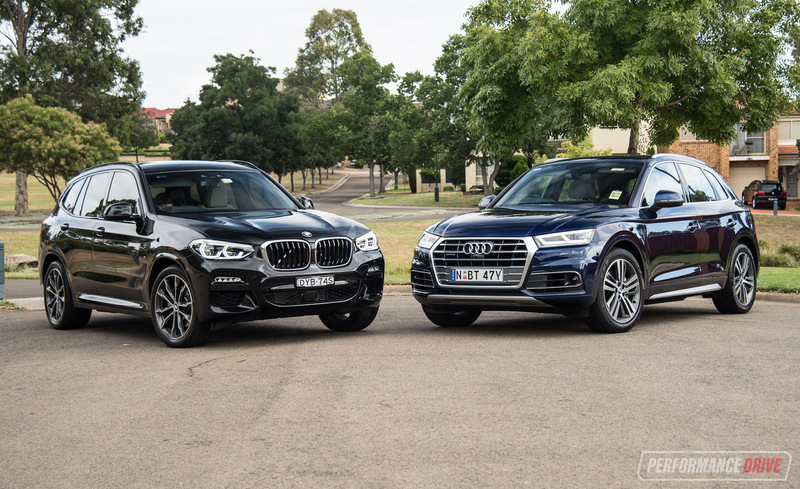 Power is provided by a 2.0-litre turbo-petrol developing 172kW, while the 2.2 turbo-diesel with 144kW carries over in similar spec. 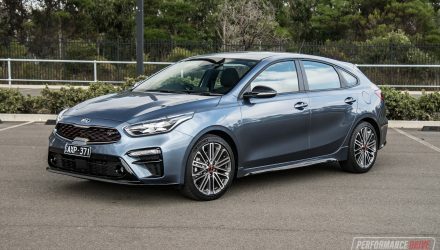 Hyundai Australia has confirmed showroom entry is scheduled for July. 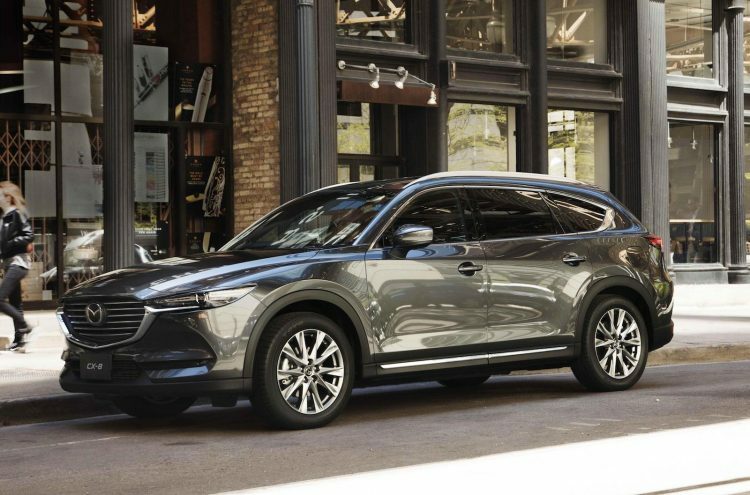 Set to soak up some of the huge sales numbers from the CX-5, the CX-8 comes in as a diesel-only model slotting between the CX-5 and the CX-9 flagship. It offers seating for seven, an elegant coupe-like roofline, and all of the latest safety systems under the brand’s i-ActivSense umbrella. 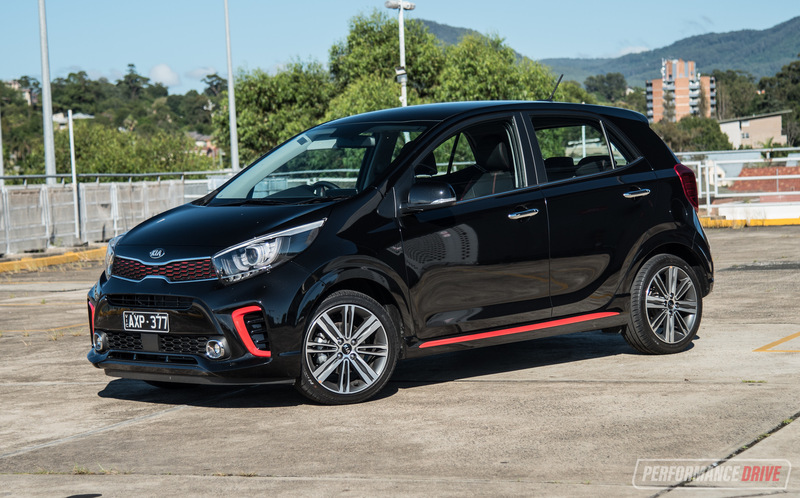 Power comes from the 2.2-litre turbo-diesel producing 129kW and 420Nm. Market arrival is set to take place during the second half of this year. 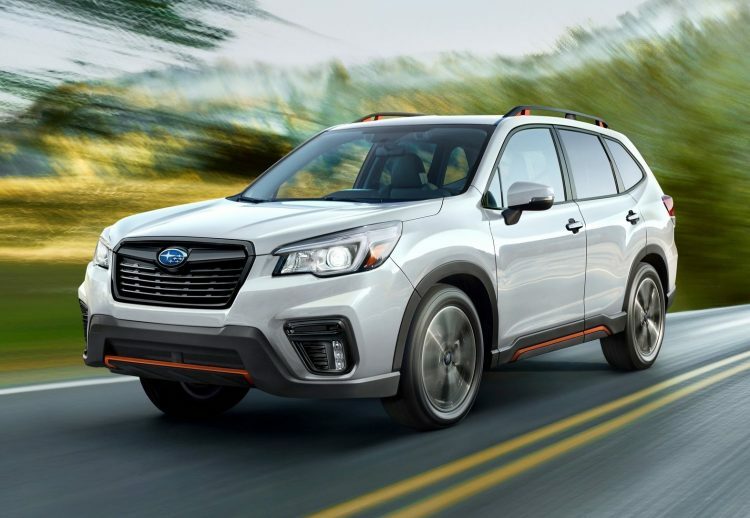 Riding on the latest, cutting-edge Subaru Global Platform, the new Forester is slightly longer, wider and lower than the current Forester, providing a more practical cabin but with a sportier stance on the road. 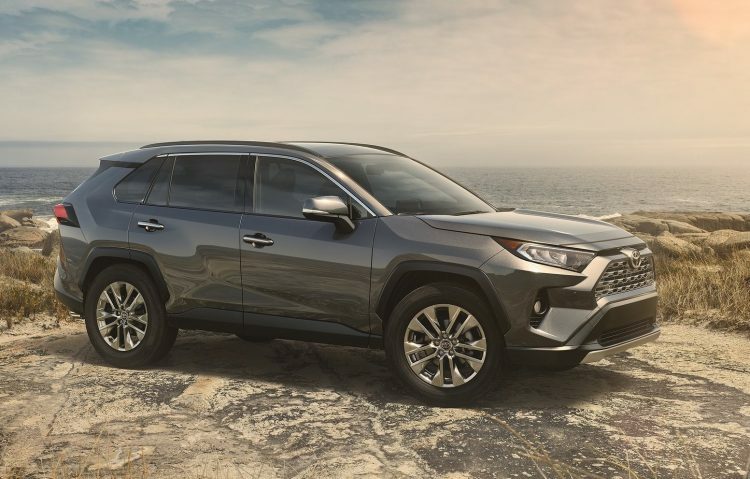 Styling inspiration comes from other recently-updated showroom models, with elongated headlights, smoother wheel arch bolsters, and a tightened up rear end. Inside is a fresh centre stack with an in-built touch-scree interface, with a separate trip screen up top and a digital instrument cluster. 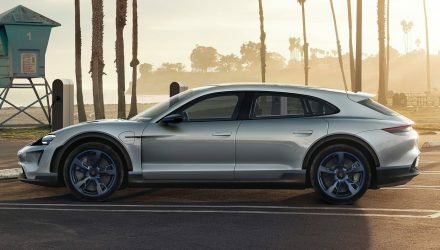 Power will come from an overhauled 2.5-litre naturally aspirated four-cylinder, with power outputs yet to be confirmed. Showroom entry is penned in for September. 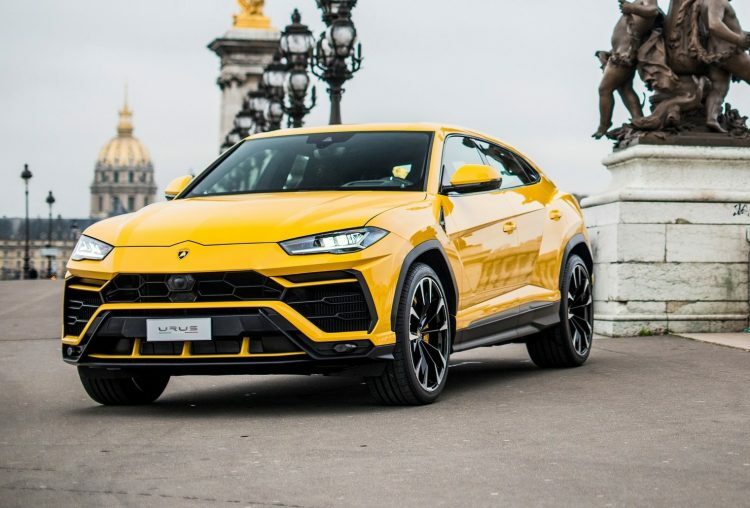 If you want to stand out when picking the kids up from school – and/or be the first one home – Lamborghini is launching its first SUV later this year. We saw it for the first time in the country at the Aussie debut last month, and boy does it look good. It is a proper Lamborghini too, capable of providing big thrills and driving capability, also across a range of terrain types. Power comes from a 4.0-litre twin-turbo V8 that screams out 478kW and 850Nm, with 0-100km/h coming up in 3.6 seconds. 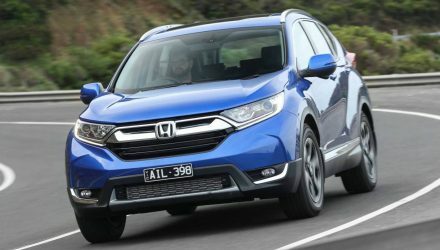 Prices have been confirmed to start from AU$390,000, with deliveries set to arrive late this year. Jeep revealed the all-new Wrangler late last year, sporting some new tech inside, a new turbo four-cylinder engine, and the same rugged body we all recognise. 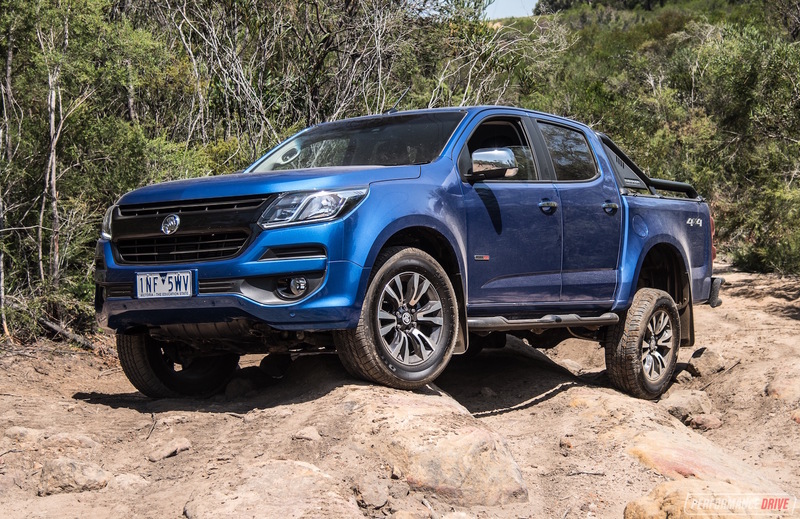 The new model retains live axles front and rear, while some of the upper variants get a new Command-Trac four-wheel drive system with selectable modes. Ground clearance is measured at an impressive 277mm, with locking differentials for the top Rubicon variant. 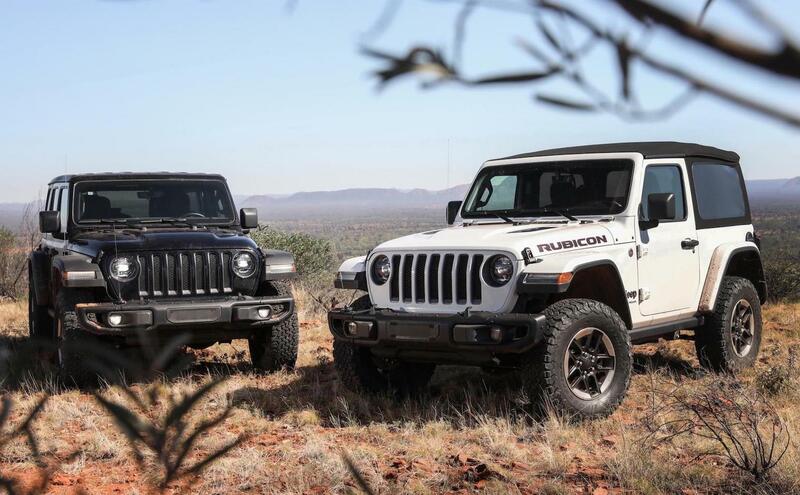 Earlier this year the new Wrangler underwent its first Australian engineering assessments in the outback, approved by Jeep USA. It was conducted in preparation for its local arrival later this year. 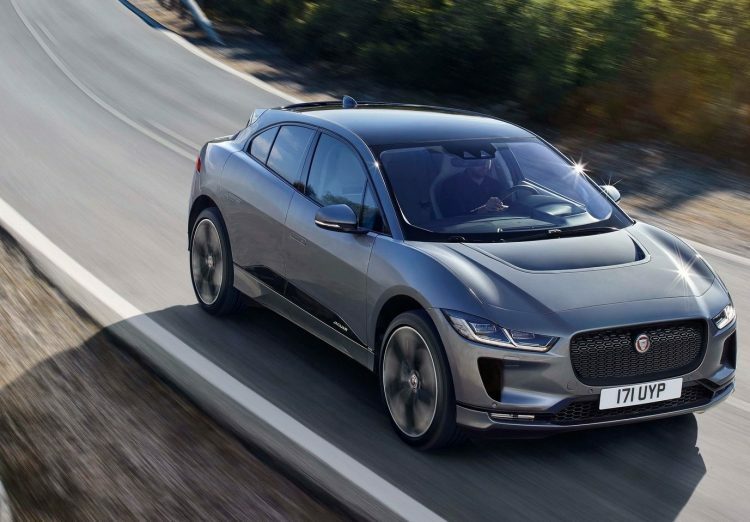 It comes in as Jaguar’s first proper, fully-electric vehicle. It’s not a special edition or some crazy high-priced concept either. The I-PACE comes in as a regular model in the showroom, featuring a 90kWh lithium-ion battery that powers two electric motors. These provide 294kW and 696Nm, helping to propel the zappy cat from 0-100km/h in just 4.8 seconds. Recharging to 80 per cent takes just 10 minutes using a 100kW DC rapid charger, or around 10 hours to full using a 7kW AC socket. 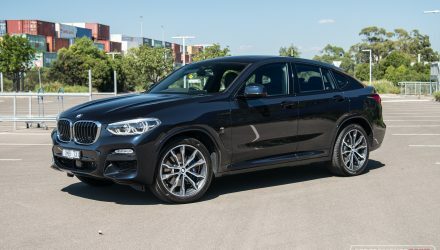 Jaguar Australia has confirmed prices start at $119,000, with deliveries to commence in the fourth quarter of this year. 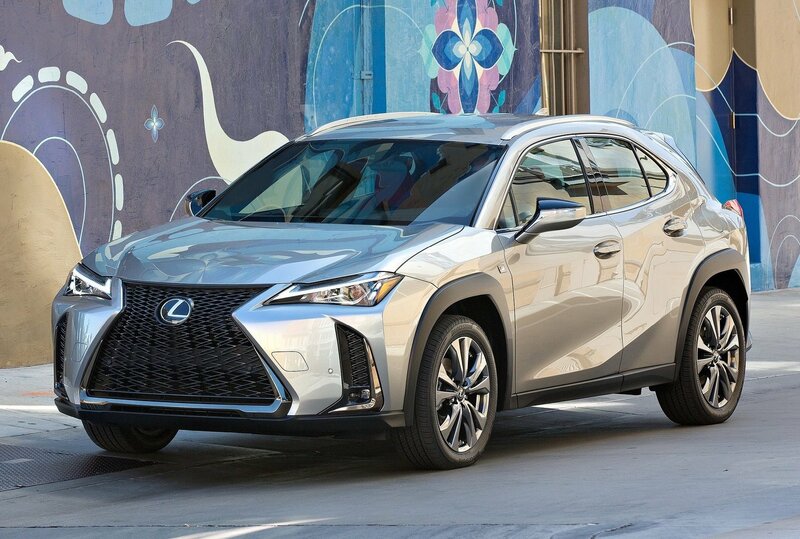 Lexus is one of the last luxury carmakers to introduce a compact SUV, having only offered the LandCruiser-based LX, the RX large SUV, and the NX medium-size SUV. The new UX was revealed at this year’s Geneva motor show in March, showcasing perhaps one of the sharpest exterior designs of any SUV in the class. Underneath it all is Toyota’s New Global Architecture (TNGA), shared with vehicles such as the Toyota C-HR and the latest Camry. 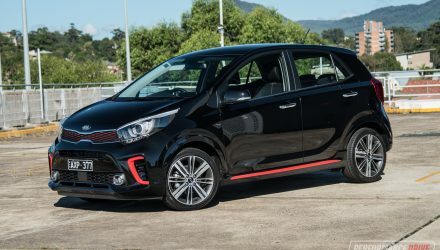 Local specs are yet to be confirmed but so far the model has been revealed in UX 200 and UX 250h form, both powered by a 2.0-litre ‘Dynamic Force’ petrol engine without and with a hybrid electric motor, respectively. It arrives in Australia early next year. 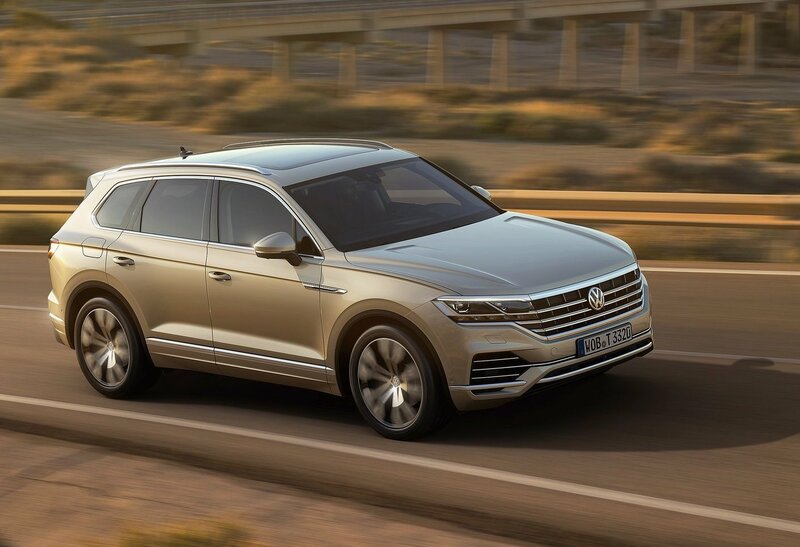 The current Touareg has been around now since 2010, making it quite an old duck. For the new-generation model Volkswagen has enlisted its latest MLB Evo platform, switching from the old PL71 layout. This aims to improve everything from driving dynamics, weight optimisation, performance, and interior packaging. 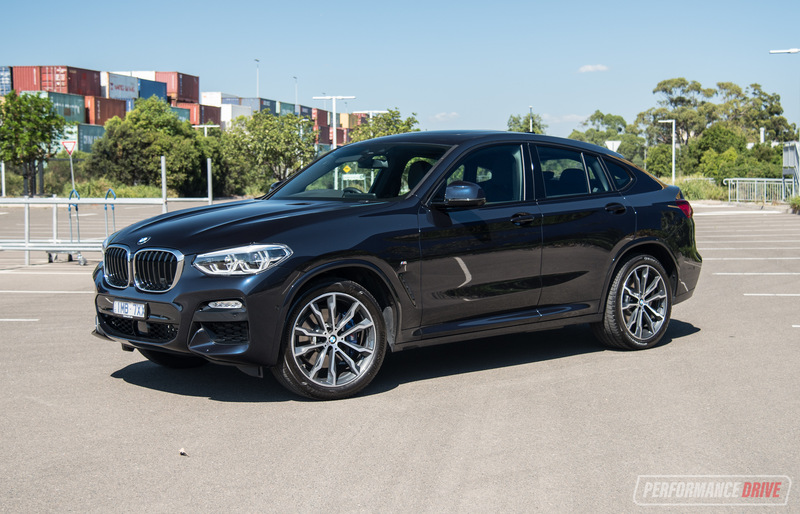 Aussie details are yet to be confirmed but so far the SUV has been revealed with two diesel V6s, producing 170kW and 210kW, a 250kW V6 petrol and turbo-diesel V8 that pumps out 310kW. There’s also plans for a hybrid in some markets. Local entry is set to take place in the second half of next year. Only revealed last week at the New York auto show, the all-new RAV4 borrows the same TNGA platform as the Lexus UX mentioned above. 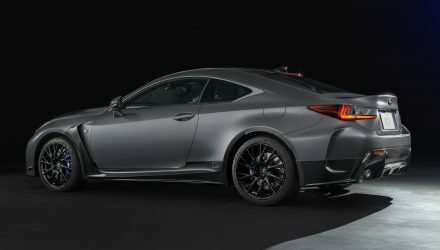 Meanwhile, the exterior goes for a tough new look, with rugged wheel arches highlighted in black, silver-highlighted skid plates, and a completely revamped interior. 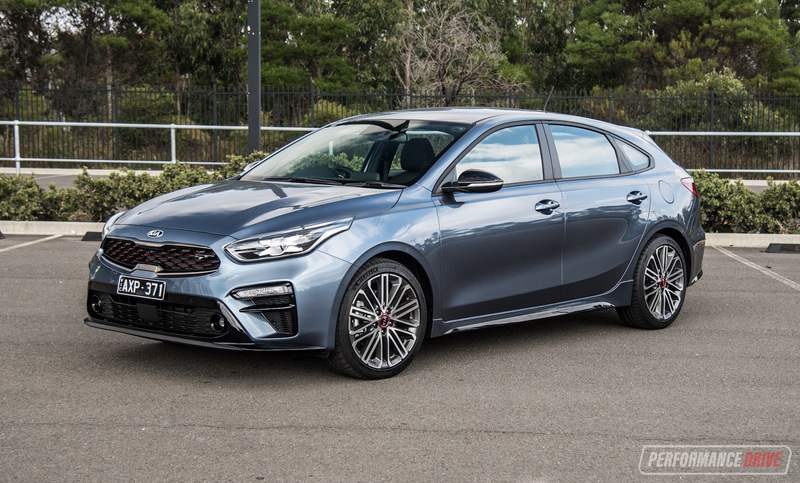 Local specs are yet to be finalised but the local arm has confirmed we will be offered both the new 2.5-litre petrol and the 2.5-litre hybrid. It’s penned in to land some time next year. 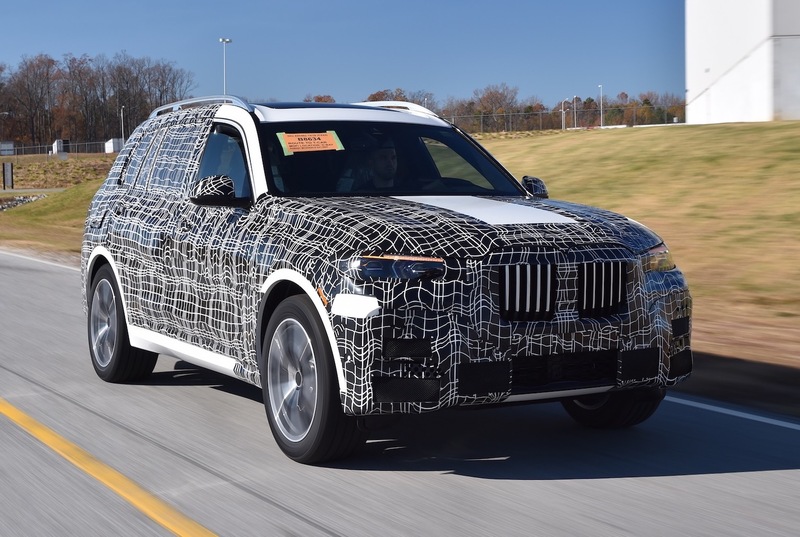 BMW is yet to reveal its grand-new flagship SUV, but it is expected to come in as one of the largest SUVs on the market. It’ll offer seating for seven, with a level of luxury and technology you’d normally expect in models such as the 7 Series and 6 Series. 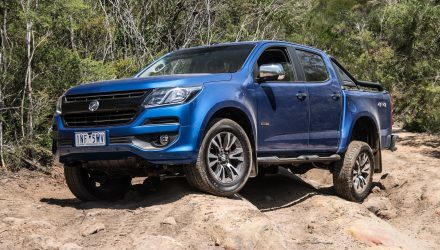 Buyers will probably be offered the tri-turbo-diesel or new quad-turbo-diesel inline six, as well as a twin-turbo V8, and potentially a twin-turbo V12, if rumours are anything to go by. We will know more information at the X7’s unveiling later this year. BMW Australia has confirmed the X7 will be offered here in 2019.